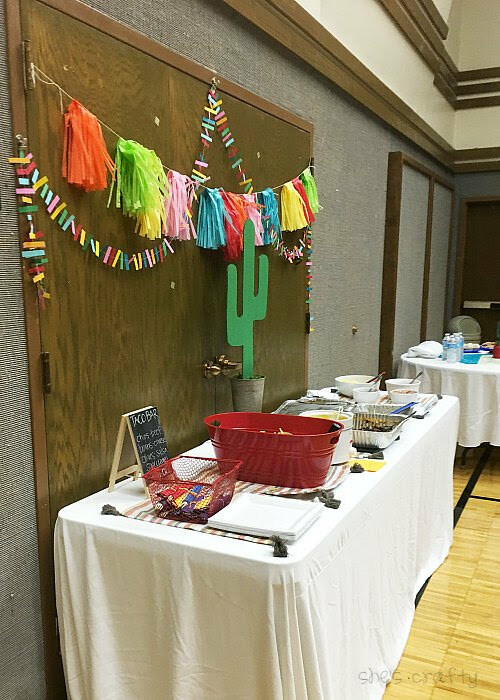 Taco Bar Relief Society Activity! I just love planning parties!! I love any and all excuses to celebrate! 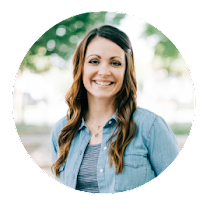 My calling at church, in the Relief Society, is to plan parties and activities for the adult women, is perfect for me! 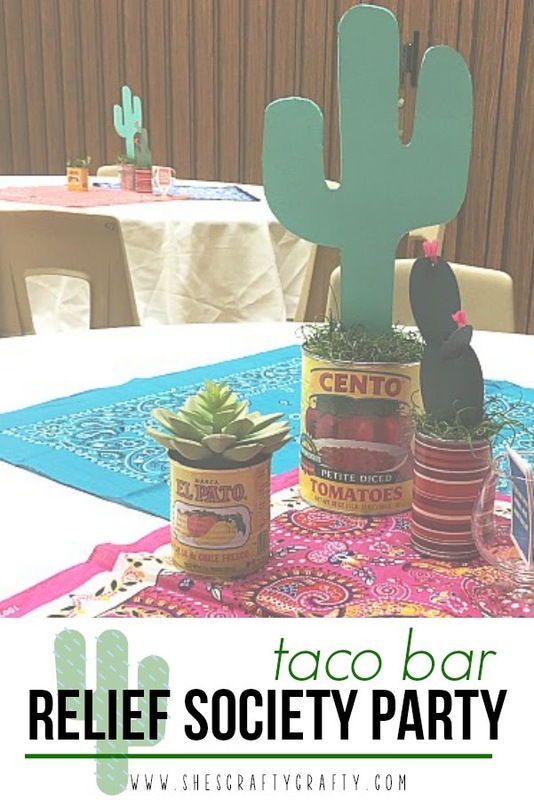 I had a blast planning this Taco Party! 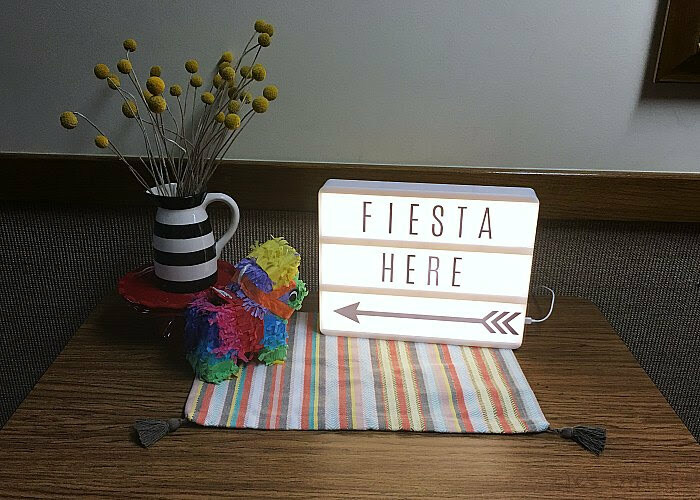 Any good party starts with an invitation. I made this invitation in Pic Monkey. We hosted the party at our church, of course. Guests were greeted at the door with this sign as they proceeded to the Gym. 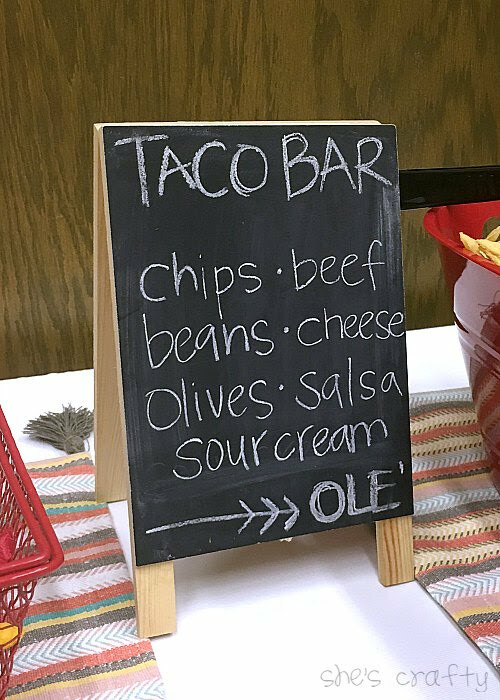 We served the Taco Bar food from a long table set at the front of the gym. My main goal for this activity was for the women to visit and get to know one another! I provided conversation starters (printed from here) at each of the tables if needed, but I think the women were able to converse very well all on their own. To decorate each table I used large round table cloths. 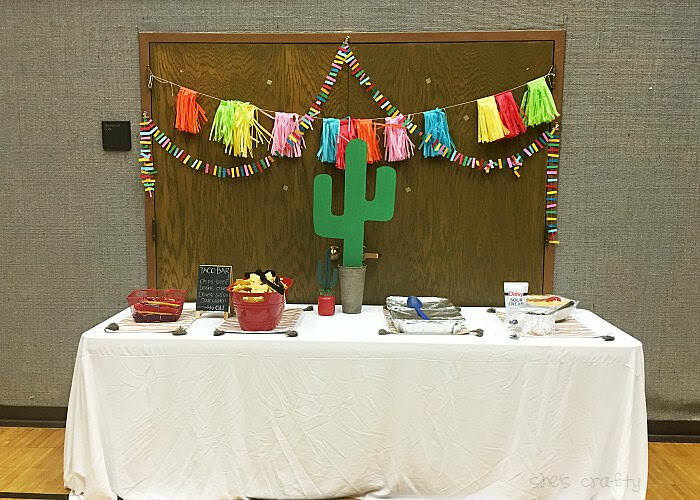 On top were colorful bandannas, and handmade cacti. The large and medium saguaro cactus are free hand cut from foam core. I painted them with green/teal craft paint. 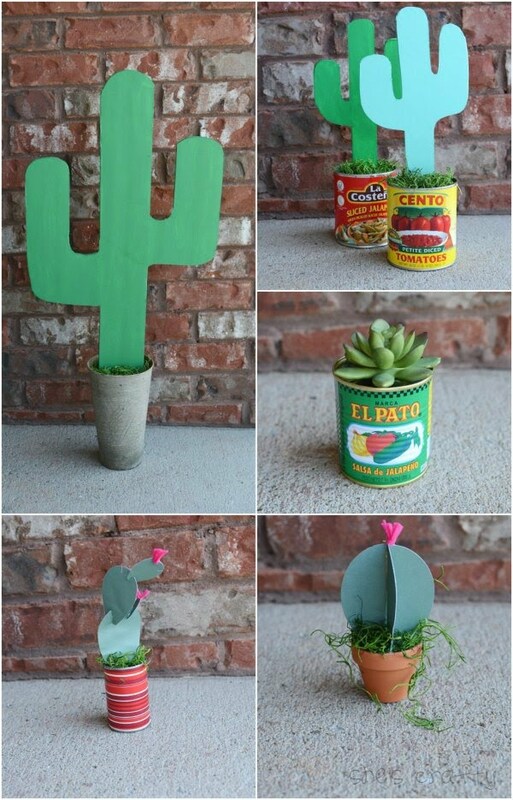 I used blocks of floral foam to fill the cans then glued the cactus inside. I covered the floral foam with moss. The paper cactus is a pattern I found on the internet that I cut with my silhouette. I glued on little pink pieces of felt to make it look like cactus flowers. 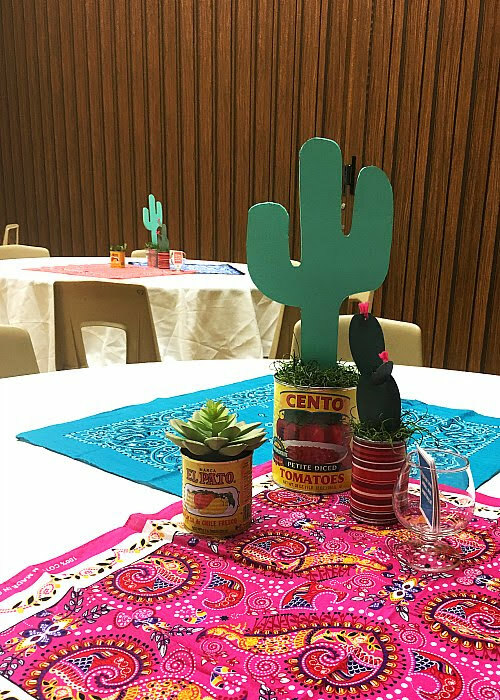 I also used some faux cactus I had on hand. For pots, I used tomato and jalapeno cans from the grocery store and terra cotta pots that I had on hand. 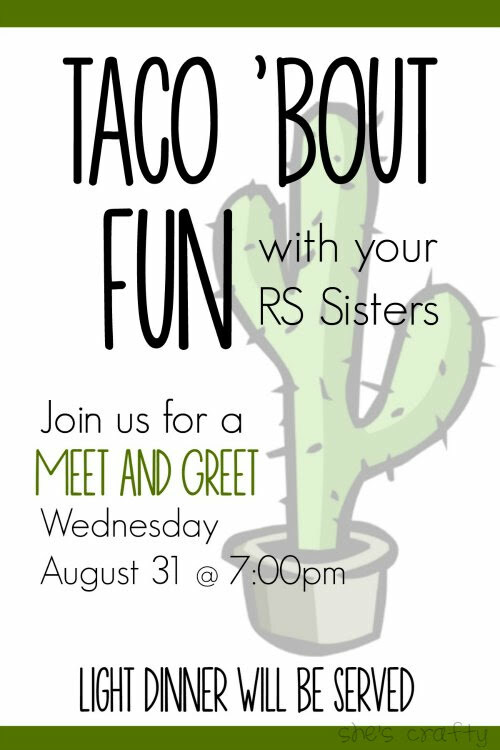 The evening turned out so well and I think all of the women had a great time at the Taco Bar Relief Society Activity! !